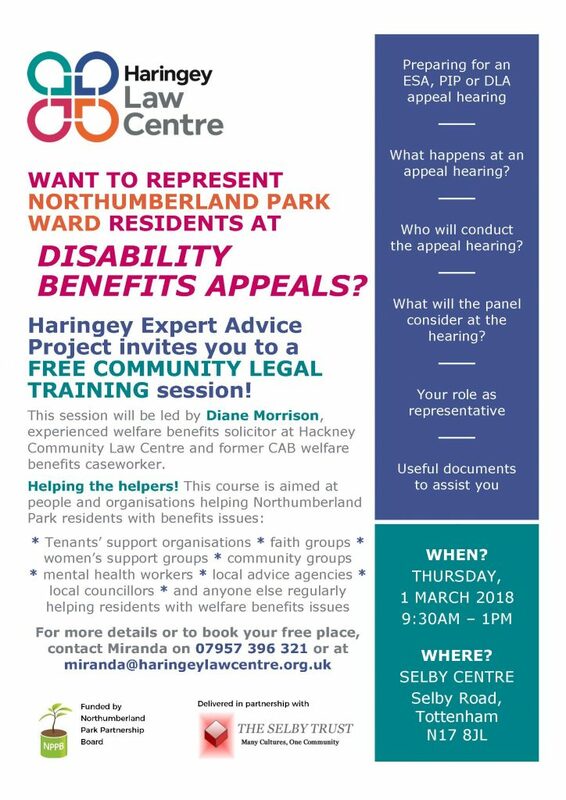 Thanks to funding from the Northumberland Park Partnership Board (NPPB), Haringey Law Centre is delighted to be able to invite you to our next Community Legal Training Session (delivered in partnership with the The Selby Trust). On Thursday the 1st of March 2018 between 9.30am and 1pm, Haringey Law Centre, in partnership with Hackney Community Law Centre, will be delivering community legal training on how to represent people at Disability Benefits Appeals. The session will be held at the Selby Centre, Selby Road, Tottenham, N17 8JL. The training is aimed at Haringey based “intermediary” organisations working with or supporting at least one person/client/family living in the Northumberland Park ward area. 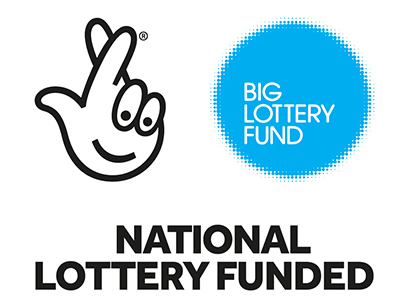 Examples of “intermediary” organisations are: tenants’ support organisations, refugee groups, faith organisations, women’s support groups, local community groups, mental health workers, local advice agency staff and volunteers, local councillors and so on. Please find below a flyer with more information on how to book your place.You can also download a printable version of the flyer HERE. 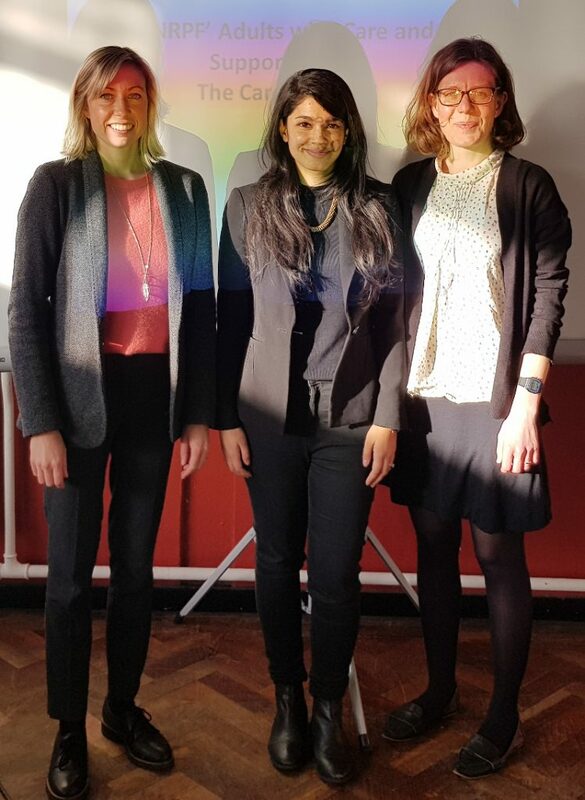 On Thursday the 1st of February 2018, we were very grateful to the Public Law team at Wilson solicitors for running excellent Community Legal Training on ‘No Recourse to Public Funds’ as part of our Northumberland Park Partnership Board project. Following the training, the training handouts are available to download free of charge HERE and the trainers’ powerpoint slides HERE.